Despite the cancellation of the World Pork Expo, the National Swine Registry (NSR), Certified Pedigreed Swine (CPS), and the American Berkshire Association (ABA) are still planning a live swine show during the week of June 2-8, 2019. Staff members are working diligently to confirm event logistics and details for the hog show, in the wake of the National Pork Producers Council’s decision to cancel the 2019 World Pork Expo. The National Pork Producers Council (NPPC) consulted veterinarians and third-party experts when making this decision, Zwilling says. NPPC said the risk of ASF being brought into the U.S. by international World Pork Expo attendees was negligible. As soon as details are confirmed, membership will be informed of more details about the live hog show through official communication channels, NSR said in a statement on Wednesday. “We appreciate everyone's patience and understanding as the orgs work collaboratively to develop solutions,” Zwilling says. When the 2001 World Pork Expo was cancelled, the live hog show was rebranded as the Midwest Type Conference and moved to Springfield, Ill. 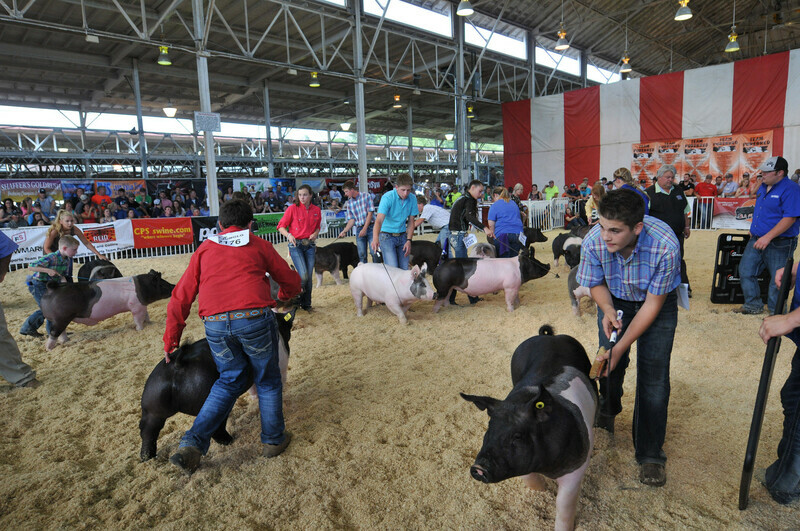 The open show and breeding stock sale, presented by NSR, features hundreds of crossbred and purebred boars and gilts from throughout the U.S.